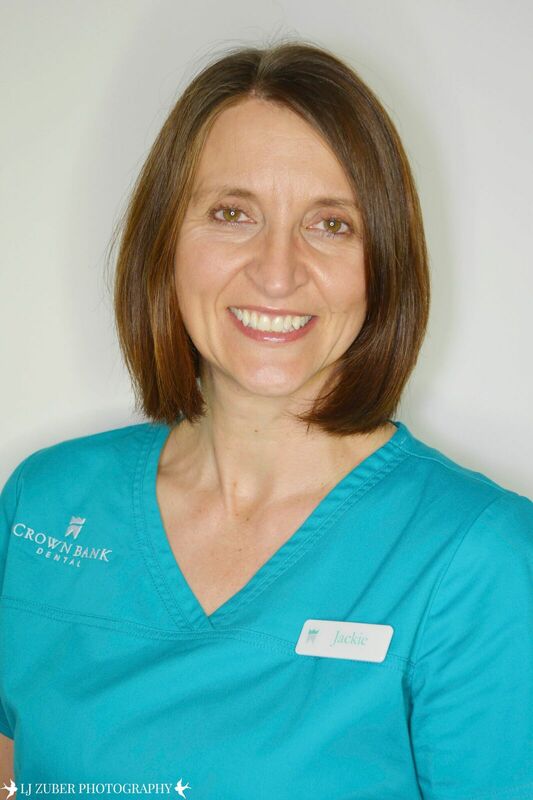 Paula joined Crown Bank in 2003, originally as a Dental Nurse. She then went on to study Dental Hygiene Therapy at Liverpool and successfully gained her Therapy diploma in 2007. Paula is married and has three children and enjoys socialising with friends and family. Emma is our Practice Manager, she been with the practice since 2008. After having a couple of years off to bring up her children she returned in 2017. She has post qualifications in Dental Radiography & Oral Health Education. Married with 2 young children, Emma enjoys spending time with her family. 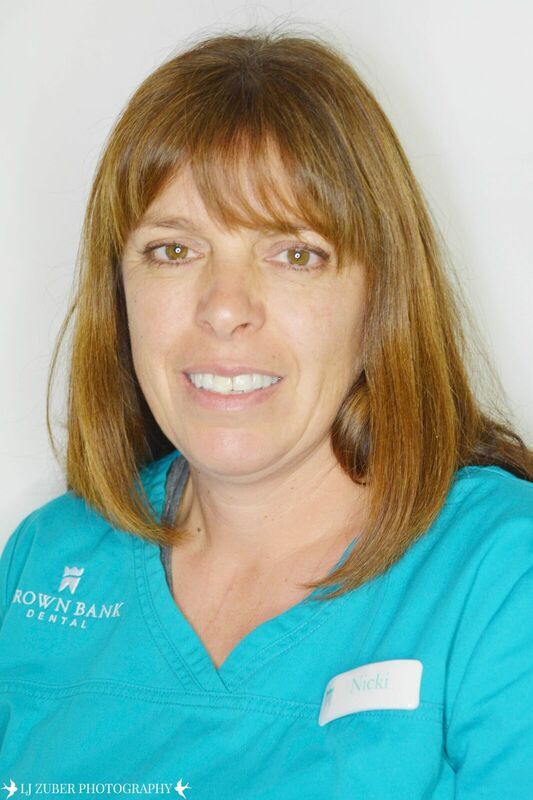 Jackie is our Clinical Manager. 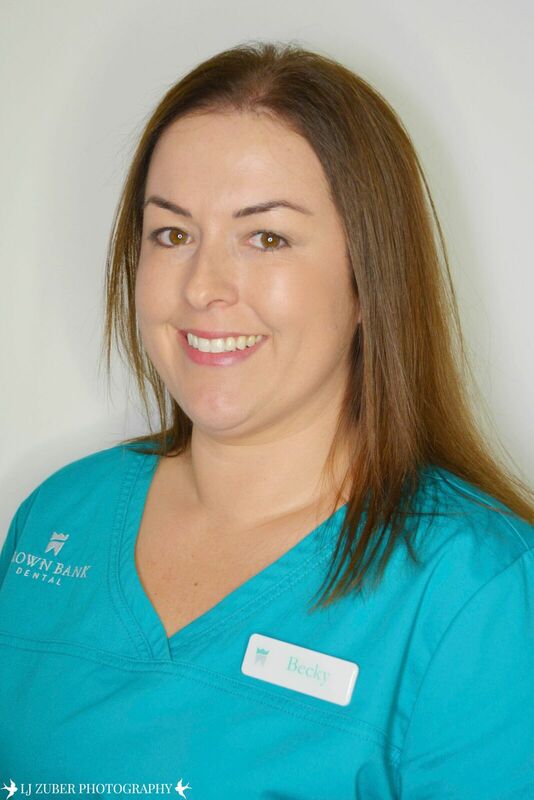 She joined crown bank in 2007 as a dental nurse and has worked very hard to achieve her management qualification. 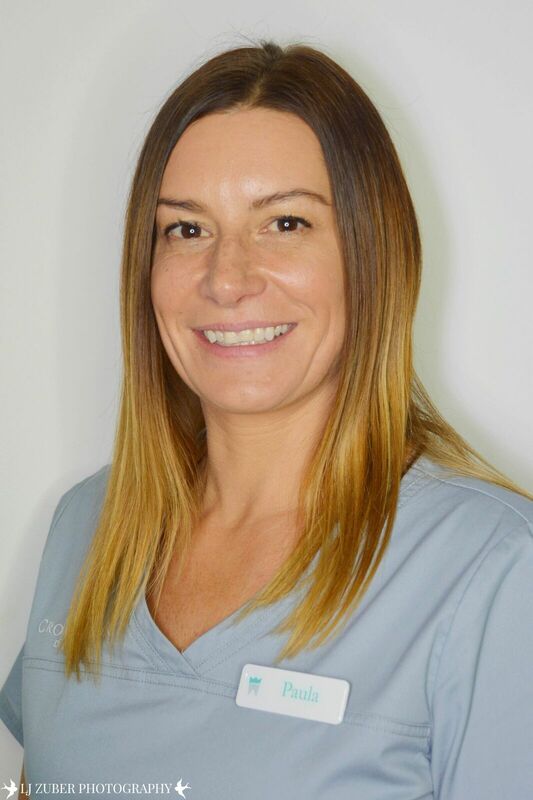 She qualified as a dental nurse in 1987 and since then has gone on to achieve post qualifications in oral health education and dental radiography. Outside of work, Jackie is kept busy with renovations of her new home. 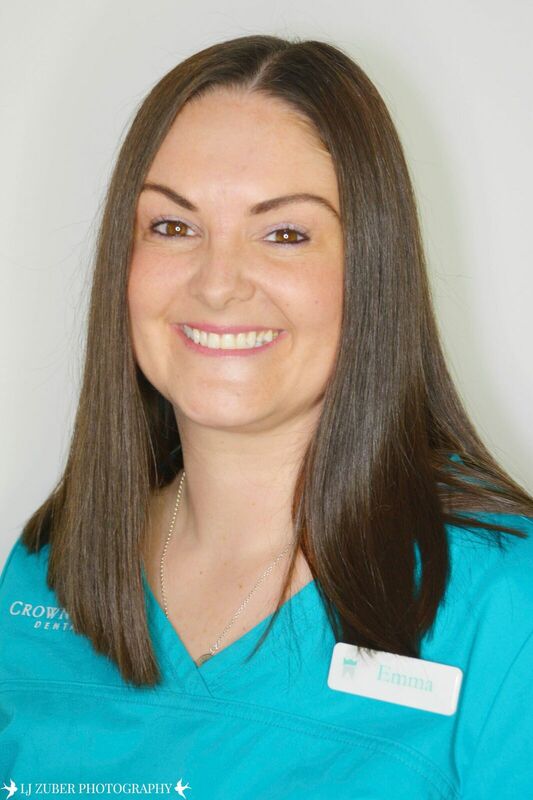 Nicki has been a part of the Crown Bank Dental team since April 2009. She has NEBDN qualifications in Dental Nursing, radiography and Oral Health education. Her role is the team’s treatment planning co-ordinator, implant nurse, oral health educator and dental surgery assistant. 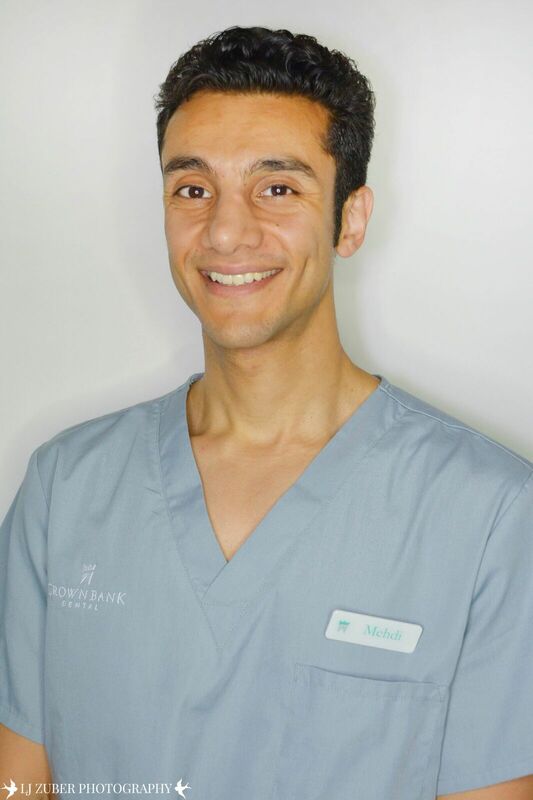 Looking forward, she aims to take further post qualifications in sedation and implant nursing. Nicki is a keen dog agility enthusiast in her spare time. 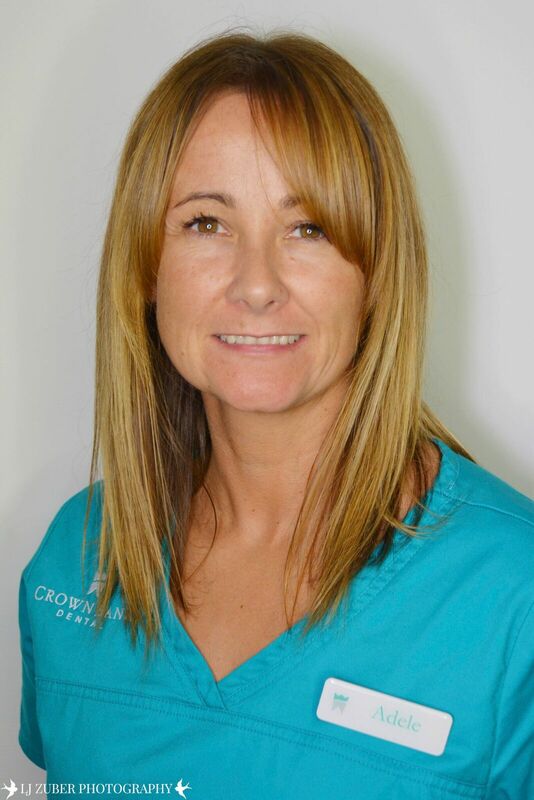 Adele has been with Crown Bank Dental since 2006, she has post qualifications in Oral Health Education and Dental Radiography. Outside of work Adele likes to keep fit and enjoys challenging herself through fitness. 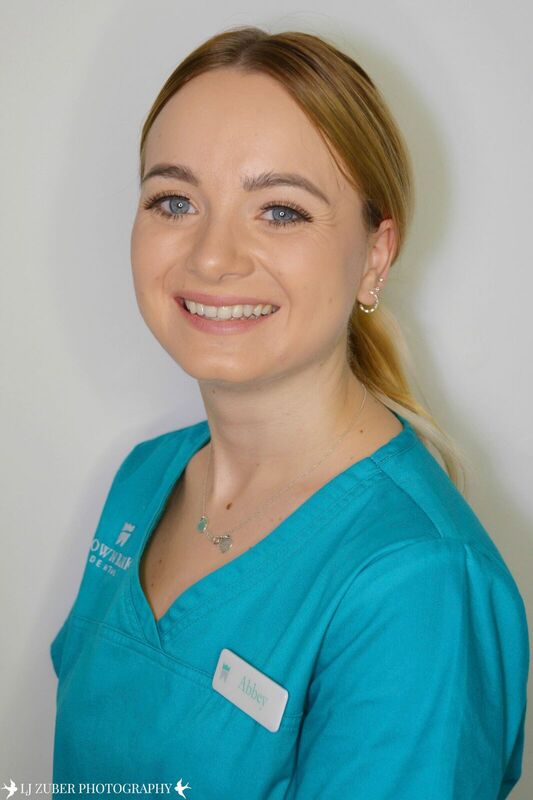 Abbey started working at Crown Bank Dental in August 2017 as a qualified Dental Nurse, she slotted in as if she had always been a member of the team. She has a keen interest in root canal treatment. Outside of work, she lives with her partner having recently bought their first home. Bec joined Crown Bank in 2015 and is one of the faces you’ll be greeted by at the reception desk. Recently married and with a little one at home, Becky enjoys spending time with family.